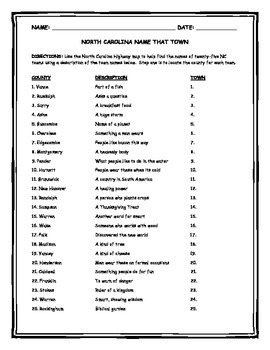 This is a map skill building activity where students are given 25 different counties in North Carolina and different clues. 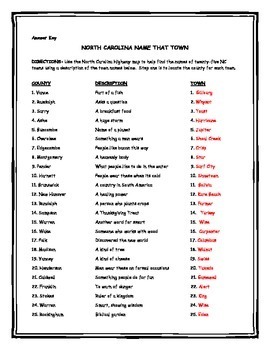 Their job is to find the town located in that county that matches the clue! 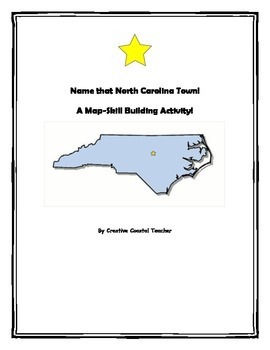 This is a fun way for students to build their map reading skills! Ties in with North Carolina State Essential Standards! 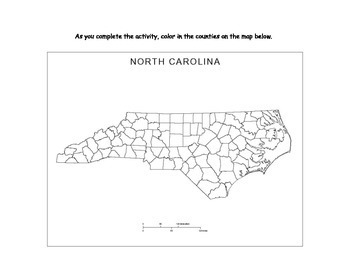 Includes a map for them to color in the counties as they go along! *May be used as a web-quest to incorporate technology!